Amadou Bakayoko is determined to give Walsall a more physical presence up front as he works to become a leading striker in League One. 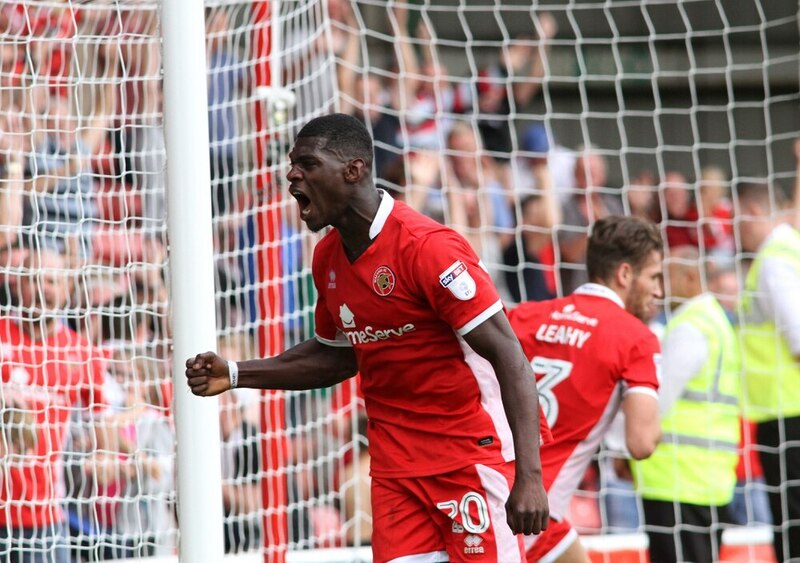 Boss Jon Whitney is still hunting reinforcements in attack as the transfer deadline draws to a close at 11pm, but Sierra Leone-born Bakayoko netted his second goal of the campaign on Saturday as the Saddlers battled from 3-0 down to draw with Bradford. The 6ft 4in forward, 21, has impressed with his work-rate in five outings this season and says he is working hard to improve the physical side of his game. “I want to be a more physical presence up there,” Bakayoko said. “A lot of teams in this league have a big presence up front. I don’t want to be just a target man but I want that to be a string to my bow. I think I’ve got it in me to do that. To hold up the ball and to bring others into play. I want to be a player that can switch things up, that can take up different positions, score goals and create goals.